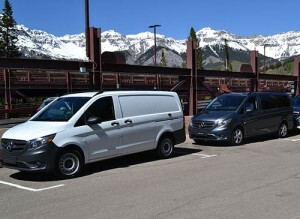 At press events in Dunton and Telluride, Colo., last week, Mercedes-Benz US gave a group of reporters test drives of the company’s pre-production 2016 Metris. Targeted at commercial buyers, the mid-size van comes in cargo or passenger versions. Mercedes’ second van to hit US markets is slated for an October 2015 release. 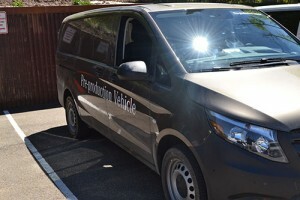 Touted as the company’s smaller option to the Sprinter model, the Metris’ height of 74.8 inches gives the vehicle “garagability,” said Head of Mercedes-Benz US Van Division Bernie Glaser. 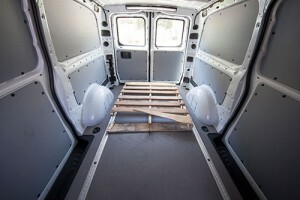 Unlike other tall Euro-style vans, including the Sprinter, the van can easily be parked in a metropolitan-area parking garage or a home garage. 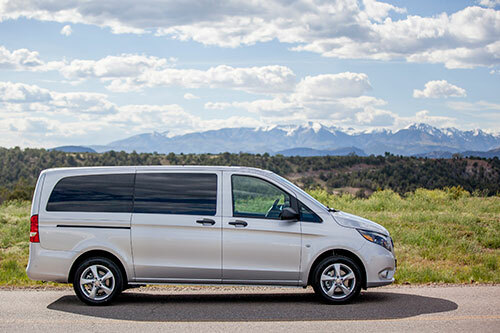 The Metris drives more like a minivan than a cargo van, but it still offers similar durability to the Sprinter model. It also comes with sleek features like the standard dual climate control and a blinker-style gear shifter. A fuel-efficient, 4-cylinder gasoline engine, along with a 7-speed automatic transmission and rear-wheel drive, powers the mid-size van. The engine provides 208 hp and 258 lb-ft of torque. The Metris also comes with a service interval of up to 15,000 miles. The company recorded the Metris, which is still a pre-production vehicle, at 31.6 and 25.6 miles per gallon on two separate test drives. An optional ECO Start/Stop, which shuts the engine down at red lights or when it is not in use, will also be available for increased efficiency. Optional safety features will include active parking assist, lane keeping assist, collision prevention assist, blind spot assist and a rearview camera. The Metris will be sold at around 200 dealers across the U.S. and Canada. Authorized dealers will have a staff capable of servicing the vehicle and salespeople dedicated to commercial vehicles. 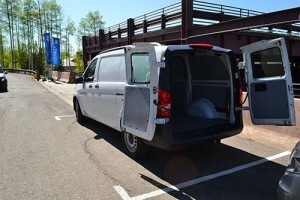 The Metris Cargo Van starts at $28,950, plus a $995 delivery charge. Preordering will start June 2015. The 2016 Metris will come in two versions, passenger and cargo. 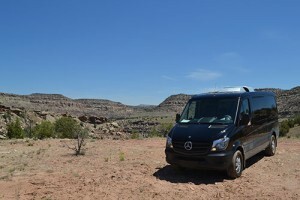 The press also test drove the 2015 Sprinter, the full-size sibling to the Metris. 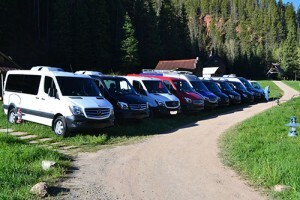 A group of reporters drove variations of the 2015 Sprinter and 2016 Metris nearly 700 miles across Colorado. The 2016 Metris is still in the pre-production phase, but it is slated for an October release. The 2016 Metris will come with a “barn door” option.